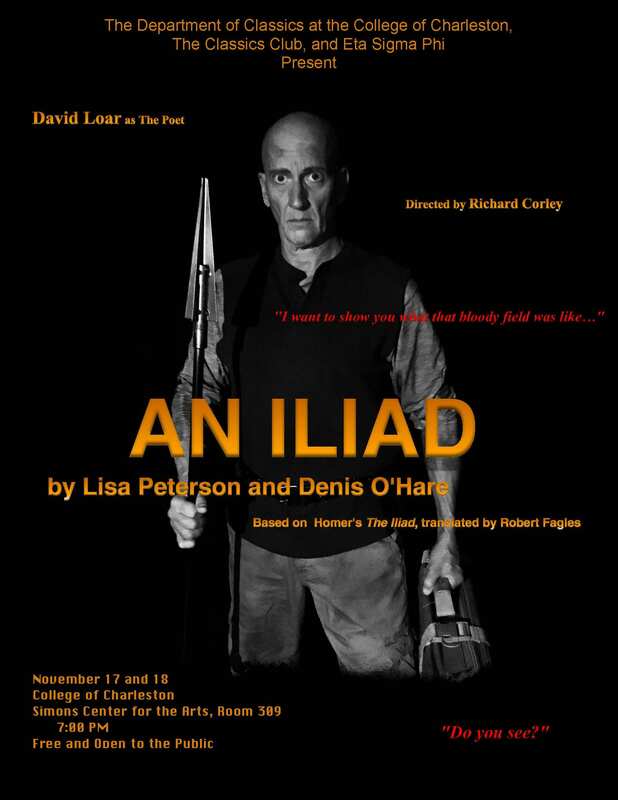 On Thursday, November 17th and Friday, November 18th at 7:00 PM (Simons Center for the Arts, Room 309), the Department of Classics will sponsor David Loar, presenting his premier performance of Lisa Peterson’s and Denis O’Hare’s An Iliad. The event is free and open to the public. An Iliad is a one-man play portraying the rage and rumble of the Trojan War. It is personal, intense, and thought-provoking. David Loar is a professional actor, residing in Charleston. He has performed with Blackfriars Resident Group, National Shakespeare Company, and the Chamber Repertory Theatre. His roles include Prospero in The Tempest, Shylock in The Merchant of Venice, Richard in Richard II, Petruchio in Taming of the Shrew, Cassius in Julius Caesar, and Ebenezer Scrooge in A Christmas Carol. Locally, David is a company member with Charleston Stage Company, where he will appear next as Lord Leonard Aster in Peter and the Starcatcher. He has also performed with Footlight Players, Pure Theatre, Midtown Productions, and Woolfe Street Playhouse. 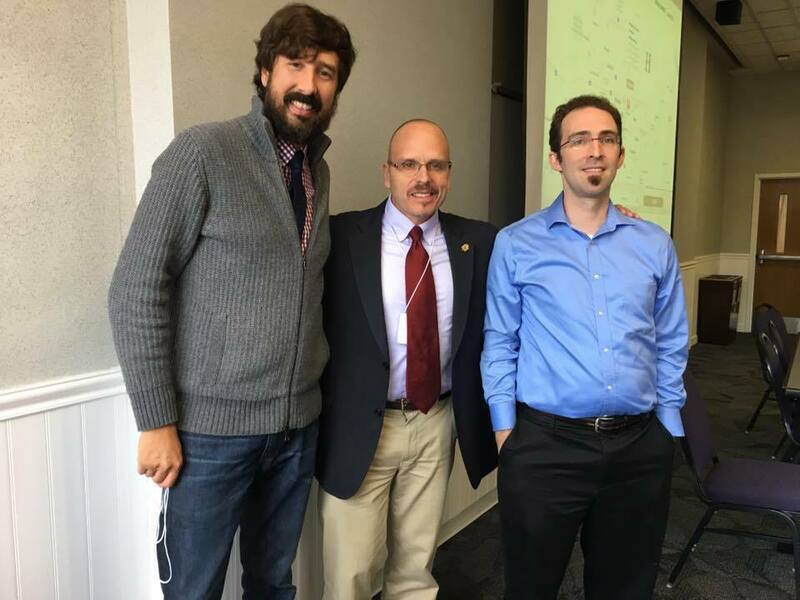 Professor Mark P. Del Mastro organized, chaired and presented in the academic panel “The State of Publishing Today” during the 66th Annual Mountain Interstate Foreign Language Conference (MIFLC) at James Madison University on October 15, 2016. Dr. Del Mastro is past president of MIFLC and current member of the MIFLC Executive Committee. and Ben Fraser of East Carolina University. Bob Dylan and Homer: Joe Goodkin in Concert, Monday! 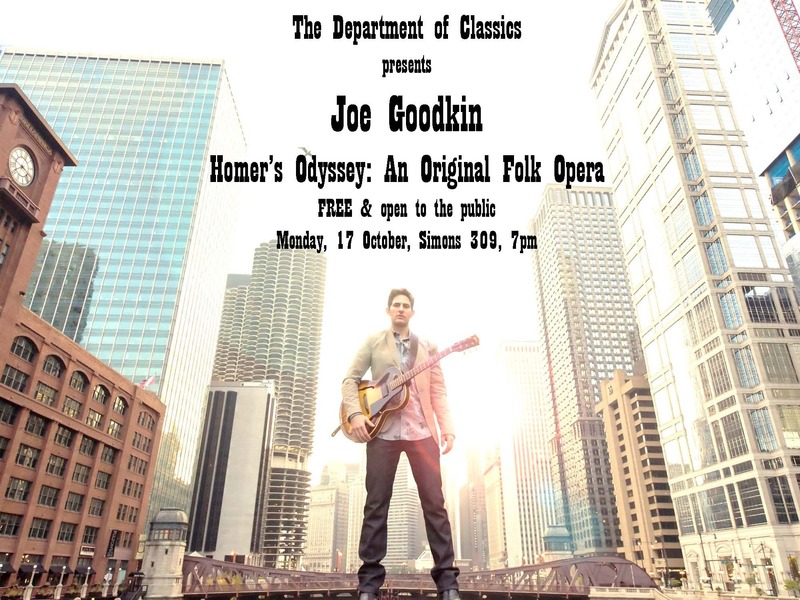 On Monday, October 17, 2016 at 7:00 PM (Simons Center for the Arts, Room 309) Classics will sponsor Joe Goodkin performing his Folk Opera, Homer’s Odyssey. An Invitation from Joe Goodkin: There’s a small but wonderful corner of scholarship that connects Bob Dylan with Homer, acknowledging that each in his own way inhabit the murky waters that mix between literature and oral tradition… so it seems appropriate that our modern day Homer gets recognized for his literary contributions. 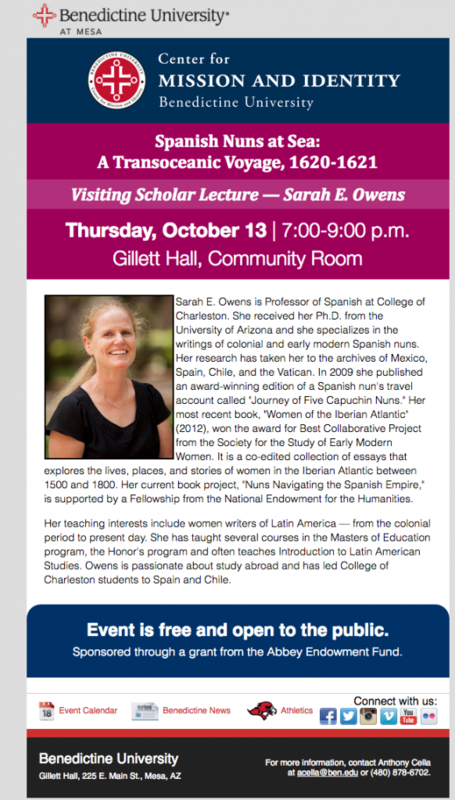 I’ll be taking my own modern day Homeric operation on the road on Monday Oct17 to my 31st state, South Carolina, where I’ll be performing at College of Charleston for College of Charleston Department of Classics, 7:00 pm, 309 Simons Center for the Arts, Free and open to the public.